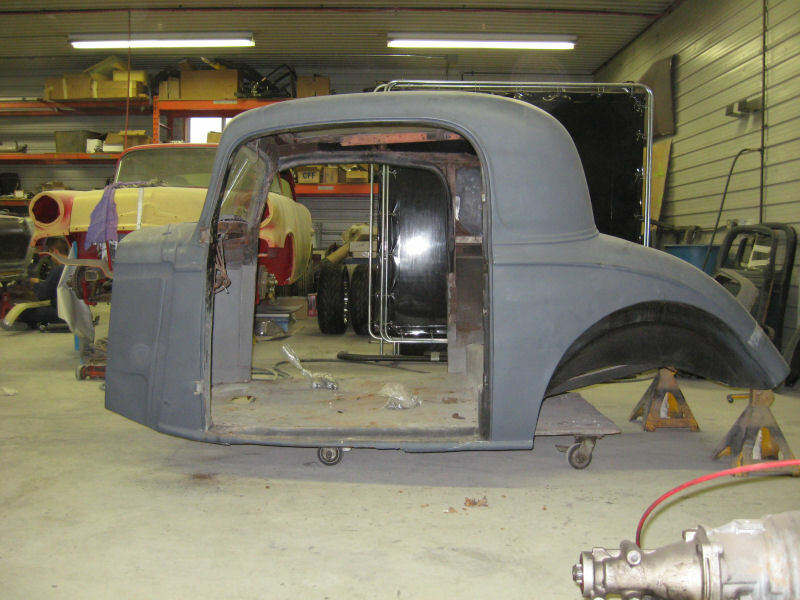 A new chassis, some sheetmetal and this '34 chev is on it's way to becoming a rare sight! This project is back from the painters'. It looks amazing. In the pictures it will look black but it's not.....Assembly will begin!